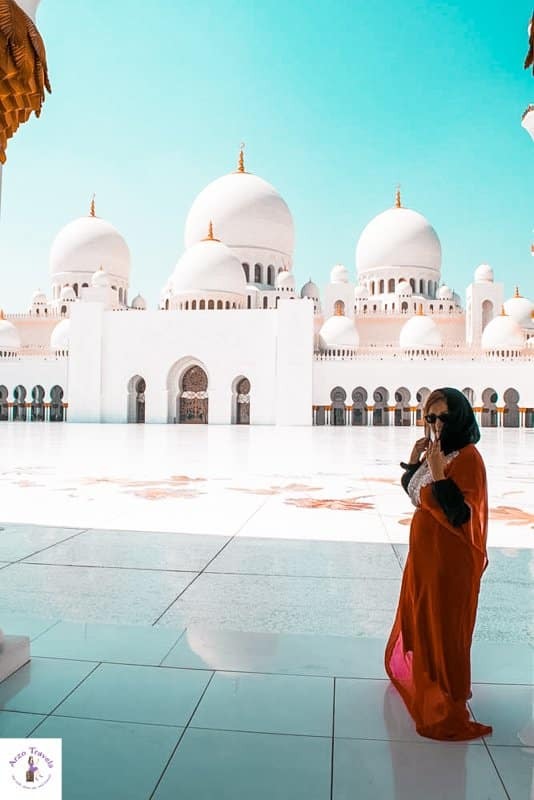 When I started the blog, my intention wasn’t to focus strongly on travels to the United Arab Emirates (and Switzerland) but somehow Dubai has become a main focus on my blog and after many visits and trying out a lot of different activities, I feel confident enough to write about my experiences as a solo female traveler in Dubai. Dubai is, I think, one of the safest places that I can think of and the best place to travel solo as a female. 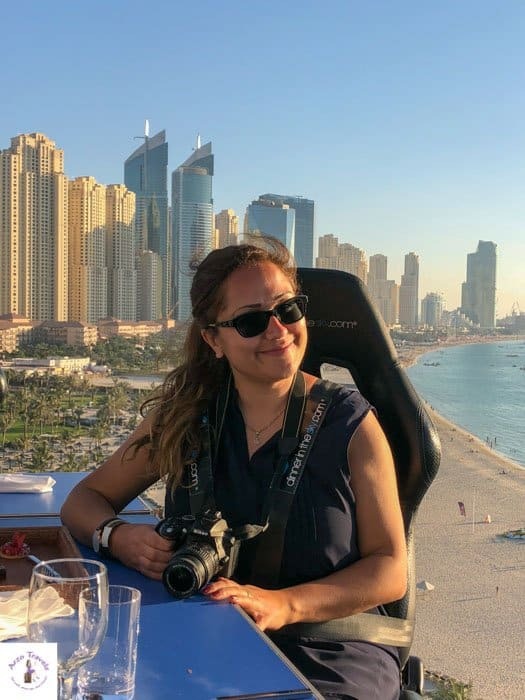 Find out why I think that Dubai is so safe and about my 10 top tips for things to do in Dubai on your own (whether you are a female or a male traveler). 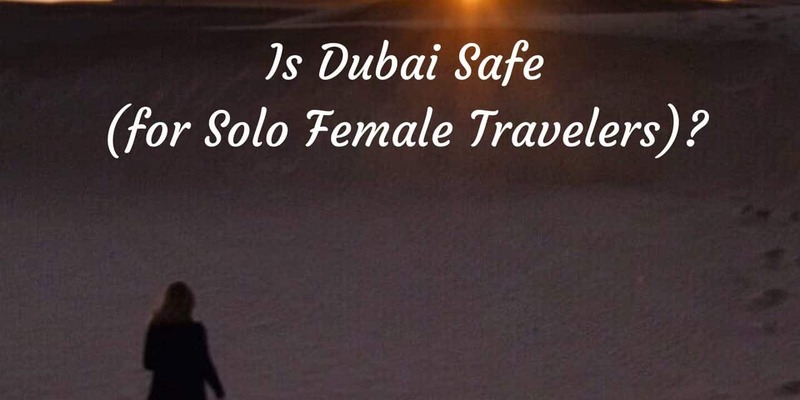 This guide helps you to find out about important security aspects, about the best things to do traveling solo in Dubai and more travel tips for solo (female) travelers. The crime rate is extremely low, not only because there are serious punishes for a crime. It seems that the police are capable of doing their jobs efficiently. Though I am not sure by which means it makes people feel safe and so I can say that Dubai is safe for tourists. I have been told by a person who lives there that even if something gets stolen, they will find it very quickly, and solve the crime. After few day in Dubai, I felt safe enough to leave my bag (unattended) at the table while going to the buffet and getting food. In Germany, it would be unbelievable to do so. I actually get very careless in Dubai because it seriously feels safe. This does not mean that you should be so careless, too :). Based on a woman´s traveler perspective, the country is totally safe. Although people might think Arab countries might not be the most secure places, I cannot second that for Dubai. Actually, since alcohol is not drunk that much in public, I felt much more secure at night than in many parts of Western countries where drunk people run around at the weekend and make me feel uncomfortable. Though there is no strict dress code for women, I feel safer when I do not reveal too much skin. You can wear bikinis and swimwear at the beach, but should reveal your shoulders and knees when in malls (where you have strict dress codes though many tourists don’t stick to them, and wear extremely short skirts and pants – I heard from local, that security might ask you to leave if that is the case. However, this hasn’t happened often and most wear whatever they feel like). In taxis, I always felt 1000% safe – even in those not “pink taxis which are particularly for women”. But I always make sure, to sit in the back, more precise behind the passenger´s seat. When I take the metro, I always go to the women department (which is clearly marked). As a female traveler, I only sometimes felt a little bit uncomfortable. This normally always had some foreign workers involved who were mainly from Pakistan, Afghanistan, India, etc. Especially in places like Dubai Creek/Deira, I did not feel totally comfortable. It has gotten better the more often I went – with appropriate clothes it is pretty fun actually. However, I never felt unsafe. I heard some women don’t feel comfortable at all in that area, so they refrain from going there. Thus, I dress a bit differently in those areas. If you are unsure about how to dress as a female in Dubai read these recommendations here. 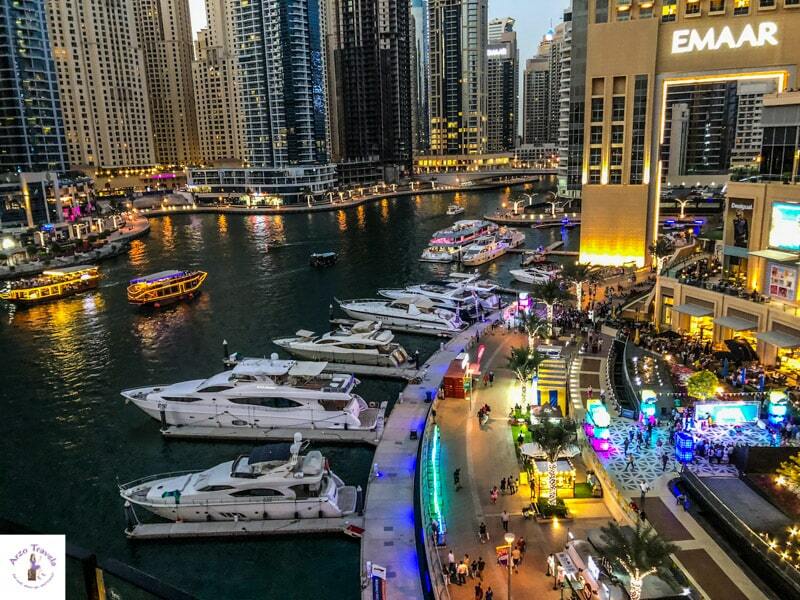 I feel fine strolling along popular places like Dubai Marina or Downtown Dubai by night. While Alcohol is not forbidden for tourists and non-Muslims, I would be very careful. If you have drunk some alcohol and something happens to you (even if it wasn’t your fault) the police might be way stricter and you might be somehow punished. Though, I think Dubai is super safe – even at night – I recommend, especially for females to avoid staying in Dubai Deira. 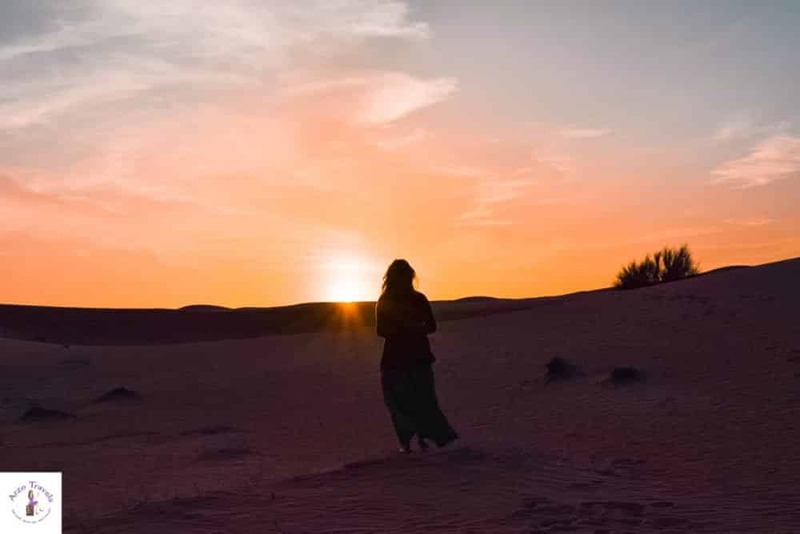 It is safe – especially compared to Western standards, but I still recommend to pick another area to stay for solo female travelers – like Dubai Downtown, JBR Walk, or Dubai Marina. Dubai Deira is fun at daytime but a bit shady after dark – even if it is probably the cheapest area to stay in Dubai (or one of the most affordable) I suggest investing a bit more into accommodation and, if needed, reduce the spending on activities or food. The only downside is, that accommodation cost for solo travelers is almost as high as if you share a room. So, this is the main reason I dislike traveling alone in Dubai. Okay, here are now my best tips for things to do in Dubai alone. Okay, while I have another post which lists my 50 top activities in Dubai, the list is more focused on solo travelers in Dubai – so here are fun things to do in Dubai yourself. When you travel in Dubai alone, you can be sure to feel safe in Dubai Downtown. 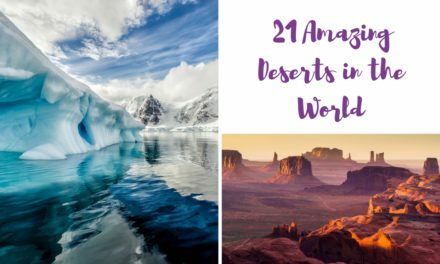 This part is crazy – and home to Burj Khalifa (tallest building in the world), Dubai Mall (biggest mall in the world) and Dubai Fountain (biggest water fountain show in the world). There is no shortage of superlatives and it will not be boring to travel alone. There is so much to see that you will probably be too overwhelmed to even realize that you are on your own. 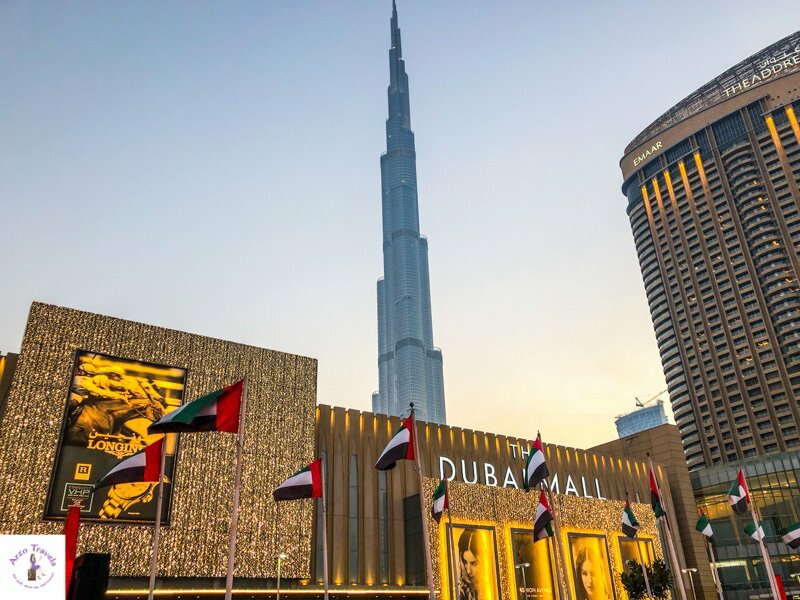 Click here for tickets “At The Top of Burj Khalifa” – a place you can easily visit as a solo traveler or if you are on a budget you can just enjoy the tallest building from a distance, enjoy the water fountain show for free and do window shopping. It is also one of the best things to do in Dubai alone at night. I looove a desert safari in Dubai. I am actually not sure how many I have done so far – mostly I went solo, once with my cousin. And what I know for sure is that I loved each tour. 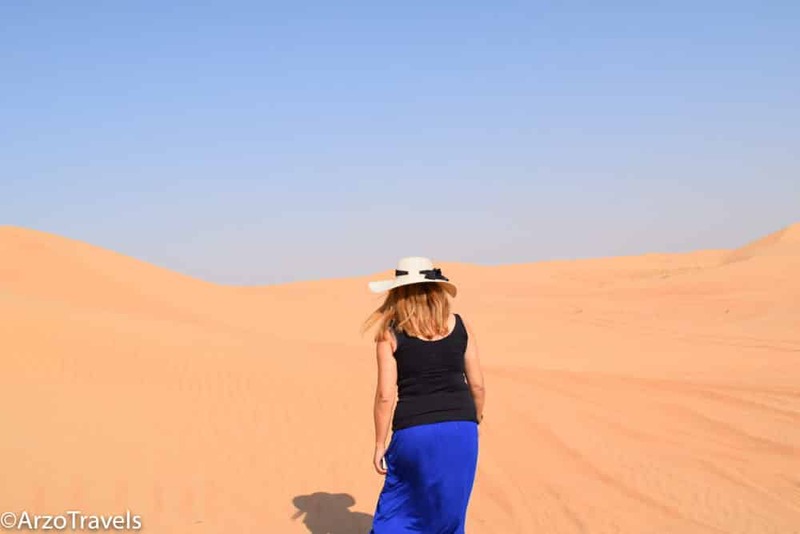 A desert safari is not only for families or love birds (the BBQ in the desert, which often comes with a safari is indeed extremely romantic) but a top thing to do for ANY traveler to Dubai. The desert safari is actually one of the best activities to make friends – depending on the kind of safari, you get picked up from your hotel and while there are tons of jeeps (like a caravan) it feels you form a little team with the other ones in your car. Somehow, no matter if I ended up with families or a group of friends, we stuck together, dinned together and had a great time together. If you prefer to be yourself during your whole Dubai trip you can of course – there will be no pressure or so. to talk to anyone. But it is a great way to connect with other Dubai travelers and exchange ideas and experiences. There are also morning desert tours, but my tip is to do the evening desert safari – another fun activity to do alone in Dubai at night. 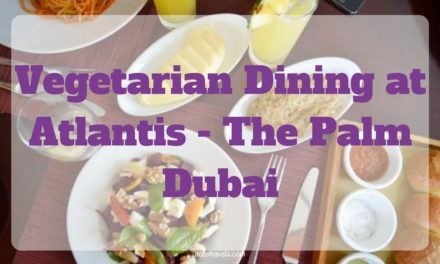 Looking for more tips on what to do in Dubai alone? Here is another place to visit in Dubai alone – the beach! I am paranoid – unfortunately, I am very serious about it. That is probably why I am not so much into beach holidays – I am always afraid my stuff gets stolen while I am in the water. I am stressed out and not relaxed. In Dubai I don’t have this feeling – just because Dubai is so freakingly safe – I can leave my valuables at the beach and hop into the water. And I even feel safe enough to turn my back and leave my stuff unattended for a few minutes. All thanks to a low crime rate. So, if you are in Dubai, and this is what I wanted to tell you with my revelation, you can feel free to hit the beach – even if you are as paranoid as I am. Okay, make sure to somehow be close to your valuables, but no need to hold your stuff close by you. Best beaches in Dubai: La Mer, Jumeirah Beach (Kite Beach) and the private beaches on Dubai Palm. I can openly admit that I am into boat rides – speedboats, dinner cruises or whatsoever. Just put me on a boat and let me enjoy the city from a different perspective. 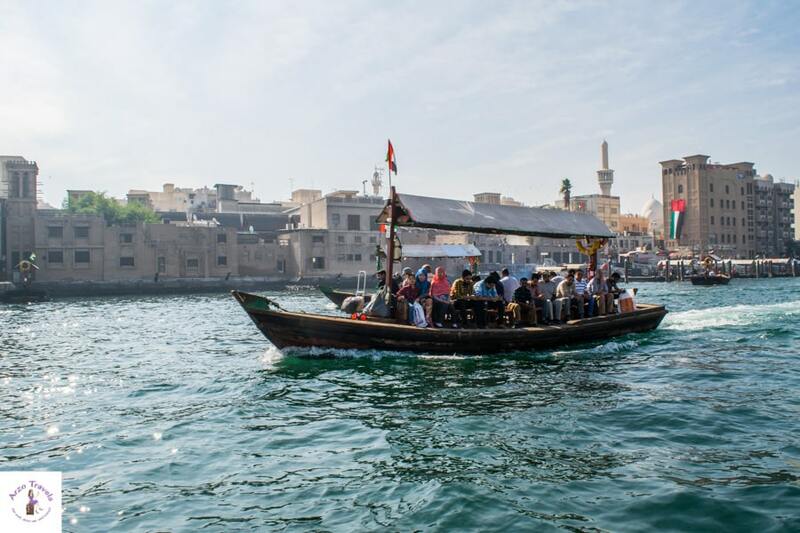 Dubai is great for boat tours – as a solo traveler you have the chance to make friends and if you prefer being on your own you can enjoy the beauty of the city while sailing around. 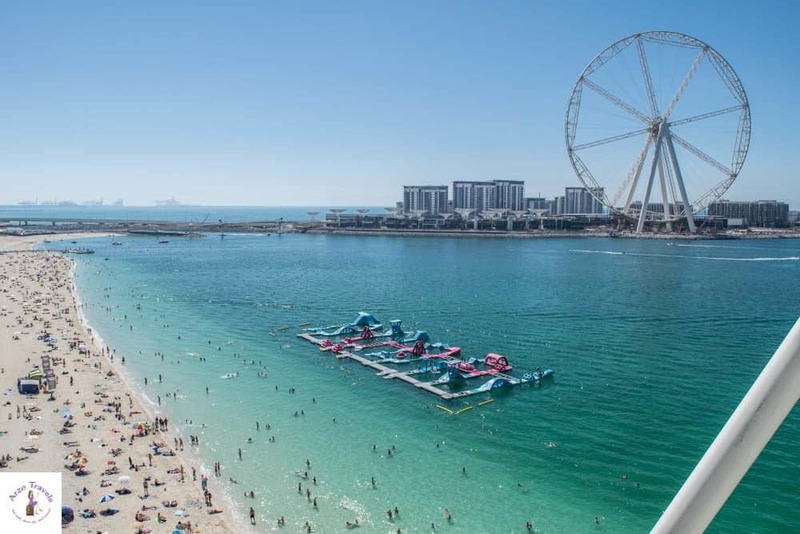 It is just 0,25€ for a ride – a fun and cheap thing to do in Dubai alone. If you prefer to use a more authentic boat – use an abra (a traditional water taxi) which is super, super cheap or book a dhow cruise. 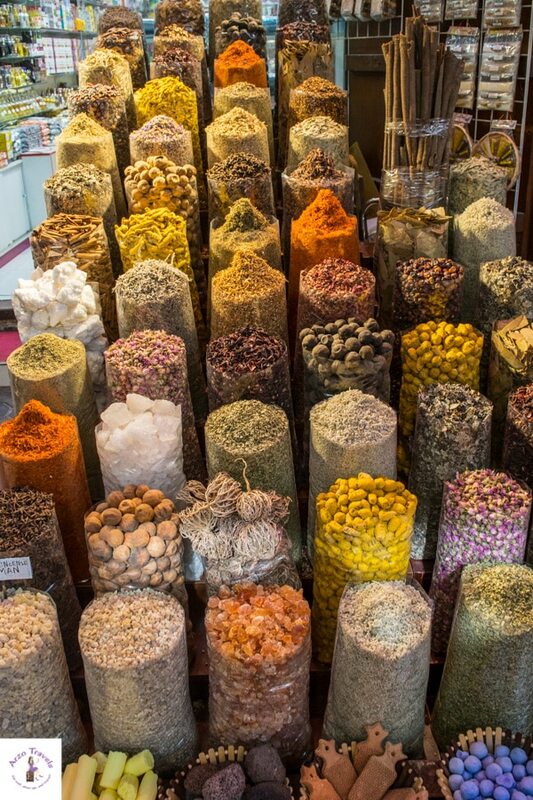 Some females have told me, they disliked strolling the old town of Dubai, Dubai Deira with the gold and spice markets, because people stare. I understand their point – this is a lovely area full of life with many foreign sellers who actually do stare at women (and might even call after you). I normally really dislike this – however, I tend to dress more conservatively and try to take it easy. I talk to the sales people and just ignore them if it gets too much. If you are aware of this and know how to ignore people, or just keep them at a distance, it is fun to visit – even as a solo traveler. Even as a female solo traveler. It probably is not a place I would visit in the evening on my own though. If you are by yourself you can do a guided tour to Abu Dhabi – or just take a taxi. While the latter option is not very environmentally friendly, prices for a taxi ride is not expensive. You pay around 50-60€ for more than 100km (so 100-120€ in total). In Abu Dhabi, you can visit the most beautiful building in the world – Grand Zayed Mosque. 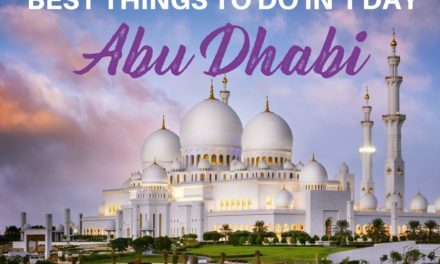 But there are more fun things to do in Abu Dhabi (and like Dubai, Abu Dhabi is super safe to travel alone). In Dubai Marina, you can admire the skyscrapers – the density of high buildings is crazy. While it is also nice to walk along at daytime (if it isn’t too hot), it is even more fun in the evening – when the buildings are illuminated, the restaurants get busy and people get here to enjoy their evenings. I have been here so many times on my own and it makes me so happy to feel safe but it is also easy to get to know people here because it is also popular amongst younger people who enjoy a night out. Since there are many foreigners from all over the world, families, couples and solo travelers, it is also easy to meet other people and make friends. If you want to meet people and like to have dinner with others – then try out a dinner in the sky (or lunch…or high tea). 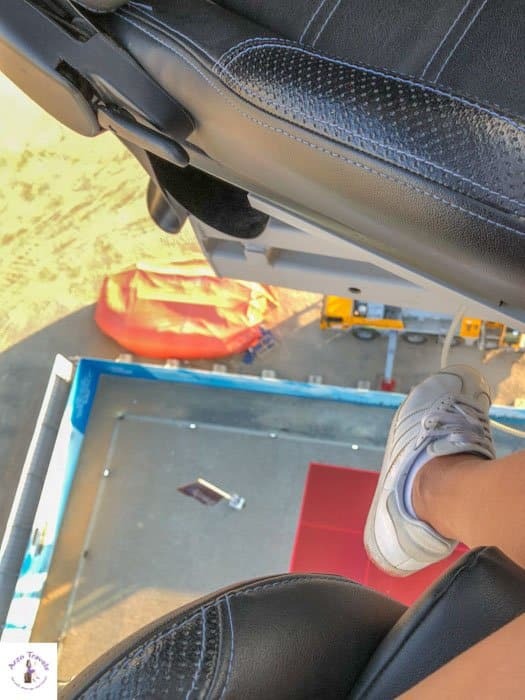 With about 16 other people you get lifted in a crane up to 50 meters – and have your lunch/dinner in the sky. This way you get to meet others and don’t have to dine by yourself (if you mind that). Click here to book your “Dinner in the Sky” experience and find out about prices. JBR – The Walk is another fun place to visit solo in Dubai. There is a beach section, restaurants, bars and shops and whether you like to be alone to meet others – here is the chance to do both. If you like to see a different side of Dubai, I recommend visiting the Dubai Museum in the old town of the city. For a little entrance fee (about 1€) you can learn a lot about the history and culture of this rapidly growing city. I think Dubai is one of the most secure places to visit. Of course, there is no freedom of the press in Dubai – so we only learn about things, the government wants us to learn about. So, even if there are incidents we will probably never find out. However, from my own personal experience – as someone who regularly does a solo trip to Dubai – I can say, that I feel safe. This does not relate only as a female solo traveler, but also for any kind of travelers, tourists, inhabitants, etc. It is not only because of the absence of mugging but also in the aspects of getting hit by men constantly. The foreign workers I’ve spoken about before, they don’t “hit” or stare at you on you in places like malls or restaurants. They mainly do it in public places and so I think it’s actually the safest place that I’ve found as a female solo traveler. 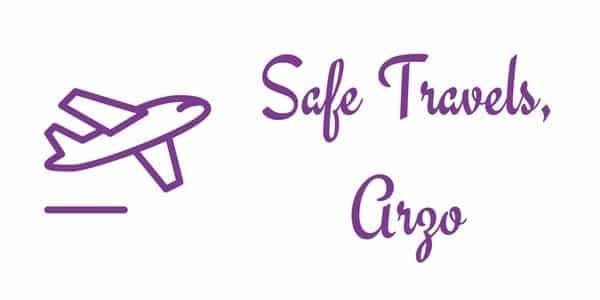 Apart from those few tips for female traveling to Dubai, I have not to take extra precautions. By the way: I have a thing for countries in the Middle East though I have not traveled much in that area, mostly because I do not know whether I could feel safe in the region (Lebanon is very high on my list). If you are also thinking about visiting Lebanon you can find how safe it is to travel to Lebanon. Want to read more about Dubai? Click here to read more about it.